Renting a fancy limousine sure is excellent, regardless of the time of year you have decided to do it. However, it surely makes more sense when you consider it around New Year’s Eve, especially when there is a big party planned. The final day of the year is a special occasion, which calls for doing something out of the ordinary. 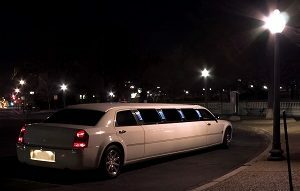 Why not let this something special be a nice limousine that you can contact a limo hire company about? You can pick from several different types of vehicles – limousines come in many different sizes and forms. For starters, you can get yourself a classic stretch limo as one of the most popular options out there. You can also get a party bus as a more extravagant way to celebrate the occasion. 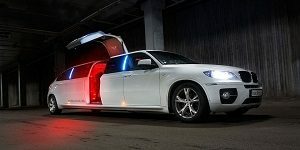 Not only does it fit more passengers on board, but also comes with more space for the party to take place. The fact that you can choose from different limousines is excellent since you can pick the one that best matches your taste and preference. There is no need for a designated driver – New Year’s Eve comes exactly once a year, so it only makes sense to celebrate it in a significant way. That will be more difficult to do if you need to designate a driver since that means less fun. When you hire a limousine, there will be a chauffeur responsible for taking you where you need to be. You can sit back, enjoy the party and meet New Year with a drink in hand to honour the tradition. Timekeeping – if you need to be somewhere at an exact time, you don’t need to worry about it. Limo services are very strict on timekeeping. They will collect you and take you to the place you need to be exactly when you need to be there. You don’t need to worry about delays and not making it on time at all! You can enjoy the amenities of the vehicle – limousines are famous for the amenities they offer onboard. They come with a bar for drinks, windows that people on the outside cannot see through, sound and video systems to play your favourite music or even a movie and much more. They also come with spacious interior and comfortable seats, which will make you feel great! Limousines are safe – the security factor of limousines is big. It comes in different ways thanks to such a service. For starters, you won’t have to take yourself to your designated venue, since the limo driver will do that. This is a professional with many years of experience, who will choose the best route and navigate the streets with ease. You don’t need to worry about a thing! Evidently, hiring a limousine for New Year’s Eve is definitely a great idea that you should consider. It will make all the difference for marking the start of a beautiful new year. Get the best quotes and limo services with Fast Limo Hire!